I've never made these...I want to...but I don't need to...if you know what I mean. I love coconut! YUM. Now I totally want to make my own almond joys. Mmmm! I love how elegant they look for the minimal prep work. Thanks for the recipe! Bo - Make them regardless! Especially since you like coconut. Rose - It would be pretty tasty if you mixed broken pieces of almond slivers in with the coconut, then dipped in chocolate. Mica - I know. After some intensive baking, I appreciated the simplicity. You're welcome! 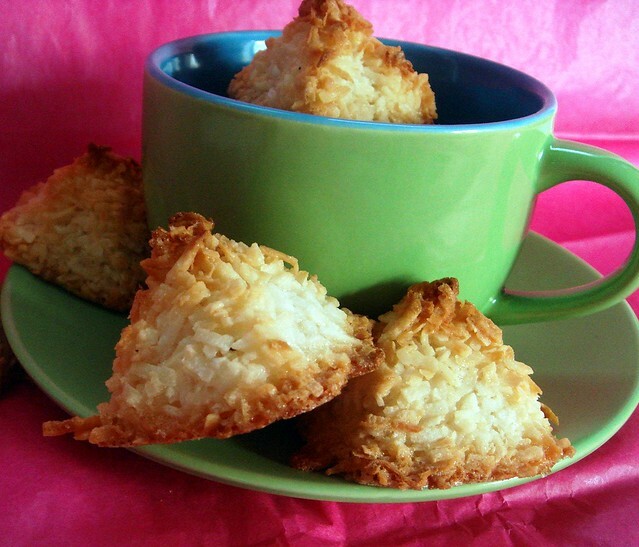 Gotta love a good macaroon recipe! We'd love for you to share your recipe at dishfolio.com! 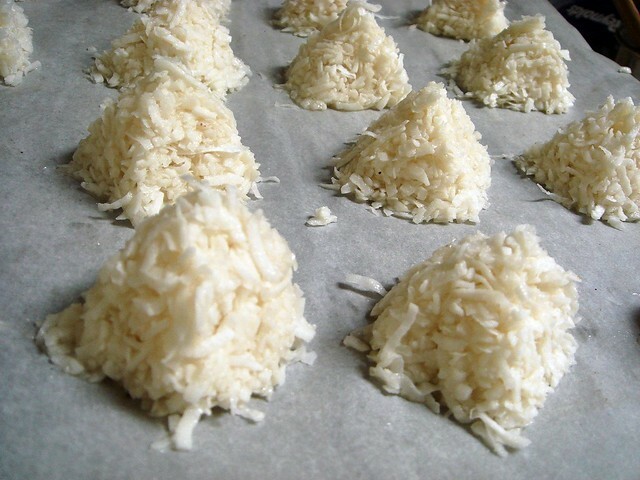 I love the haystack shape for your macaroons. They look delicious. Oh I love these! We often made this when I was a child.I came across your site from the foodieblogroll and I'd love to guide Foodista readers to your site. 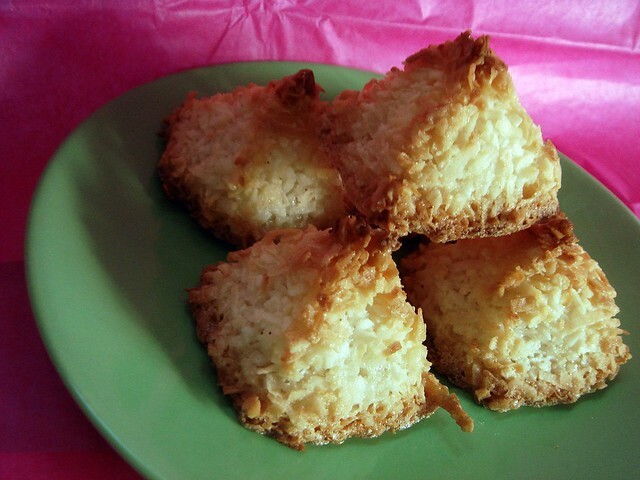 I hope you could add this coconut macaroons widget at the end of this post so we could add you in our list of food bloggers who blogged about recipes for coconut macaroons,Thanks! Lacey - Thanks for the head's up! Nicole - They were fun to shape. Thanks! Danny - Thanks! It was nice once I got the hang of it, too.